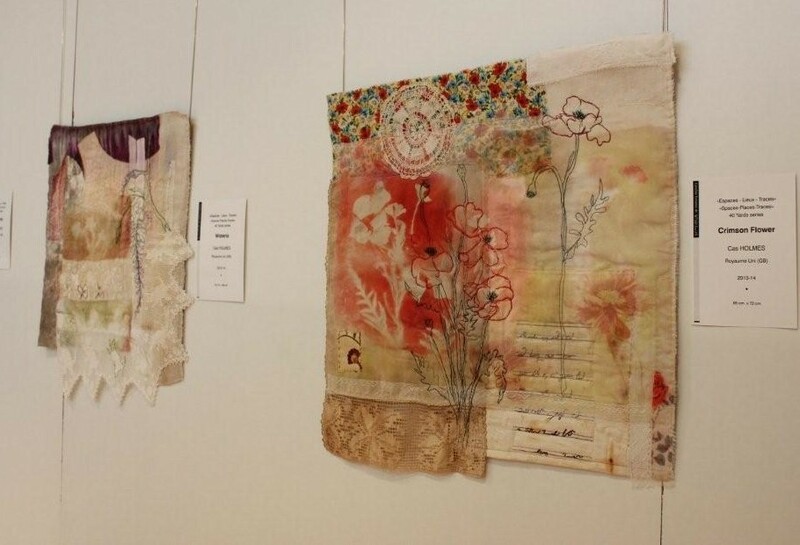 Cas works on private and public commissions and is represented in international collections (including the Museum of Art and Design in New York, Arts Council England, The Embroiderer’s Guild UK and the Garden Museum London. To arrange a visit to her studio or for more general enquiries about her work please use the contact form. ‘Painting With Cloth’ by Cas Holmes explores explores the connection between landscape, people and place. Collecting found materials as she goes, Cas creates marks with cloth, paint and stitch with a disregard of the divisions of medium usage and application that often define the world of painting and textiles. 40 Yards shares the observations of familiar things, the stuff of the everyday, alongside the seasonal changes within the locality of the artists home. The piece began with a scrap of fabric with the words 40 yards printed on it. The basis for each piece is created from materials collected whilst travelling. Bringing the world of home and travel together. 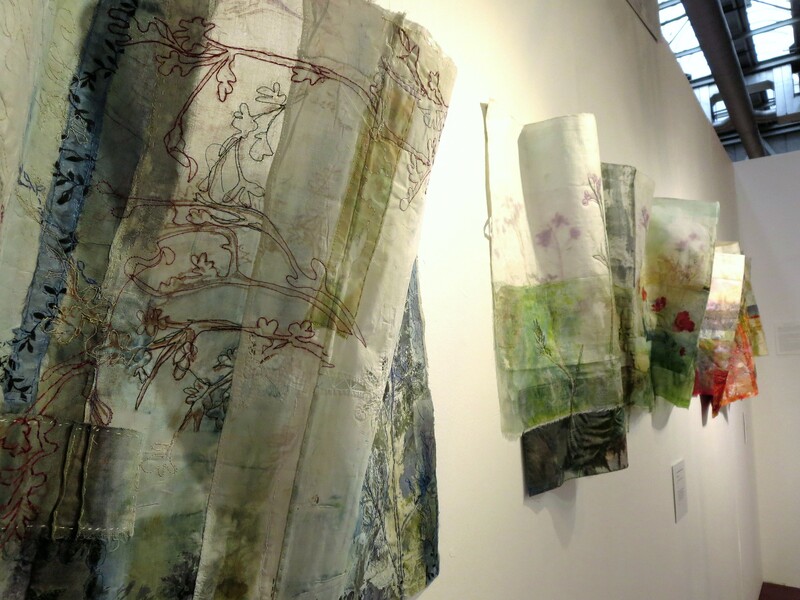 Urban Nature, first shown at the Knitting and Stitching show in 2012, is a continuing theme, looking at our connection to the world around us. It explores where our urban and garden spaces meets the ‘hidden’ or overlooked places of the broader landscape. An interesting insight to her working process can be seen in Conception to Creation a series of articles on Textileartist. 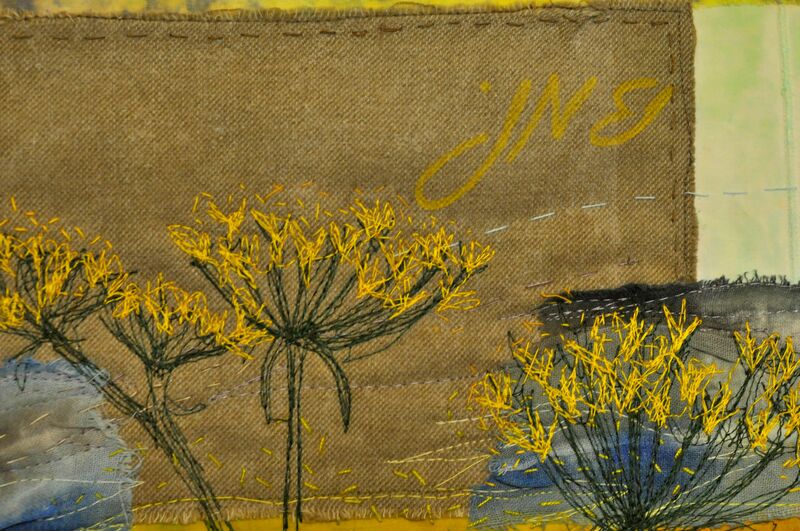 Examples of some of the works detailed are featured in the catalogues Found-Paint-Stitch (featured below) and Urban Nature.